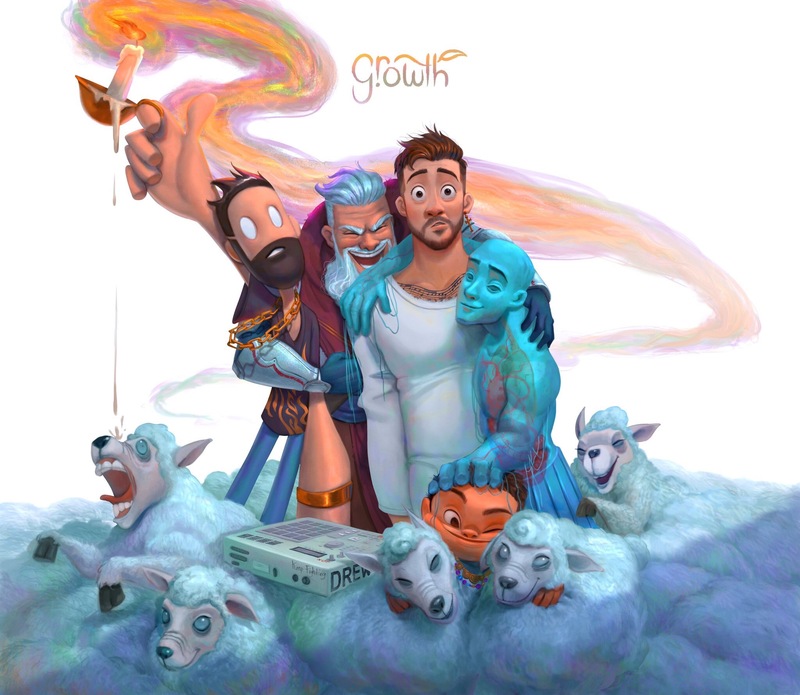 Jon Bellion announced a new album Growth via his Twitter and released the box set. He also talked about how he sounded young on most of the songs. The artwork for my trilogy vinyl box set entitled "Growth". All previous albums available for stream and purchase tomorrow as well. I sound so young on some of these joints!!! Haha so many years ago! The Singer/songwriter makes contemporary pop that mixes R&B, hip-hop, and indie rock influences. Born on Long Island, New York, Bellion grew up focusing on his love of basketball. However, in his junior year of high school, his long-gestating love of music, spurred on by such influences as Timbaland, Pharrell Williams, J Dilla, and Eminem, came into bloom after he began writing songs on his brother’s keyboard. After high school, Bellion enrolled in the music program at Long Island’s Five Towns College, where he ensconced himself in the vibrant local music scene. After graduating, Bellion continued pursuing his performance career, eventually garnering wider attention after his song “The Monster” was included on Eminem’s 2013 album, Marshall Mathers LP 2. The track, which featured a duet between Eminem and Rihanna, topped the charts in 12 countries, including hitting number one on the Billboard 200 in the United States. Also in 2013, Bellion released his debut mixtape, Translation Through Speakers, and followed it late in the year with the Separation mixtape. Featuring the social networking hits “Simple and Sweet” and “Human,” a third mixtape, The Definition, appeared in the fall of 2014. The single “All Time Low” arrived in 2015 and accumulated tens of millions of streams by the time his debut album, The Human Condition, was released in June 2016 via Capitol Records. The album debuted at number five on the Billboard 200 chart. ~ Matt Collar.